Inspired by his father, Paul Bruce Perkins who played in the NFL for a while, Paul Perkins II aspired to one day become a professional footballer. He worked towards it and today, Paul is in the NFL playing as a running back. His dreams came true when the New York Giants selected him in the 5th round/149th pick in the 2016 NFL Draft. Here is everything you need to know about Perkins and his journey to the top-tier of football in the nation. Perkins was born Paul Kerry Perkins II on November 16, 1994, in Mesa, Arizona. During his interview with the New York Post in 2016, Paul Perkins revealed that his NFL dream began when he saw his father’s game balls displayed in his room, this inspired him to aspire to play football to the highest level possible. Paul’s dad played in the fullback position. Prior to playing in the NFL, he played college football at Arizona State. Interestingly, Paul’s football roots extend beyond his father. His great-uncle Don Perkins was even a more popular football player. Don is his grandfather’s brother. Like Paul’s father, Don played as a fullback back and started his NFL career in 1960. He was one of the first players to be signed by the Dallas Cowboys who had just received football franchise. He would go on to spend his entire 8-year career with the Dallas Cowboys. Don was an outstanding player and was named the NFL rookie of the year in his rookie season in 1961. He was named to the Pro-Bowl 6 times and made the All-Pro thrice. In honor of his contributions to the Dallas Cowboys team, Paul’s uncle received a Dallas Cowboys Ring of Honor which now hangs around the AT&T Stadium in Arlington Texas. Though having an uncle with such wealth of experience in football, Paul Perkins didn’t get to see much of his uncle while growing up as they lived in different states. Paul Perkins began his career at Chandler High School in Chandler, Arizona. In addition to football, Perkins ran the track and was named the MVP of the track team in his senior year. Also in his senior year, he was a first-team all-state selection, an honor he earned after he rushed for 1,297 yards and 20 touchdowns. Perkins was rated as a 3-star athlete by Rivals.com. He sought to follow in his father’s footsteps to play football in Arizona State, but he received only little interest from the school. As a result, he would come to commit to UCLA playing for the varsity Bruins. Perkins was redshirted in his true freshman year and got his start for the team in 2013. By his sophomore year, he had worked his way up from playing as the backup for starter Jordon James to become the starter fullback. Paul Perkins was named the offensive MVP in the Alamo Bowl game against the Wildcats of Kansas State which his side won. Also, he was the Pac-12 leader with 1,575 yards rushing which set a record as the second highest in the history of the Bruins bested only by Johnathan Franklin’s 1,734 in 2012. By the end of his junior year, he was named to the Second-team All-Pac-12. Perkins chose to forgo his last season of college and declare for the 2016 NFL Draft. 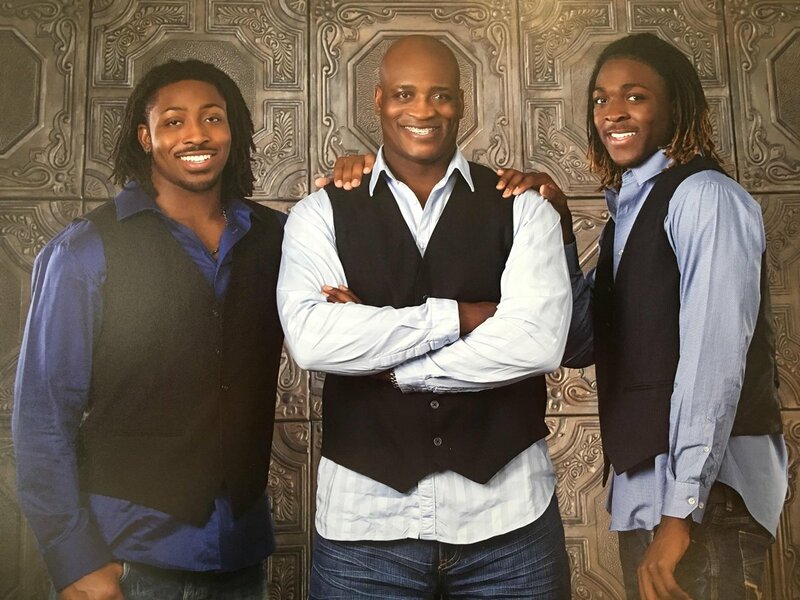 His younger brother, Bryce Perkins plays college football for the University of Virginia. Paul Perkins had good prospects per predictions by several NFL scouts. Predictions were that he will be selected in the 3rd or 4th round, but his selection came in the 5th round. The New York Giants in May 2016 signed him to a four-year, $2.59 million that came with a signing bonus of $252,548. Perkins started as the fourth running back and towards the end of the season, he became the primary running back in front of veteran Rashad Jennings. By May 2017, his coach named him as the starting running back. Unfortunately, a pectoral injury he suffered during the offseason saw him being placed on the Reserve/Non-Football Injury list in May 2018. Paul Perkins’ small frame was criticized by scouts during the 2016 NFL Combine, however, despite his stature, the running back has developed abilities to remain at the top of his game. According to his player profile on the National Football League website, the running back stands at 5 feet 11 inches. His weight measures in at 213 pounds which is 4 pounds up from the 208 lb he measured during the pre-draft NFL Combine. His pre-draft measurables reveal his arm length to be at 31 5⁄8 in (0.80 m) and his hand size at 9 inches (0.23 m).